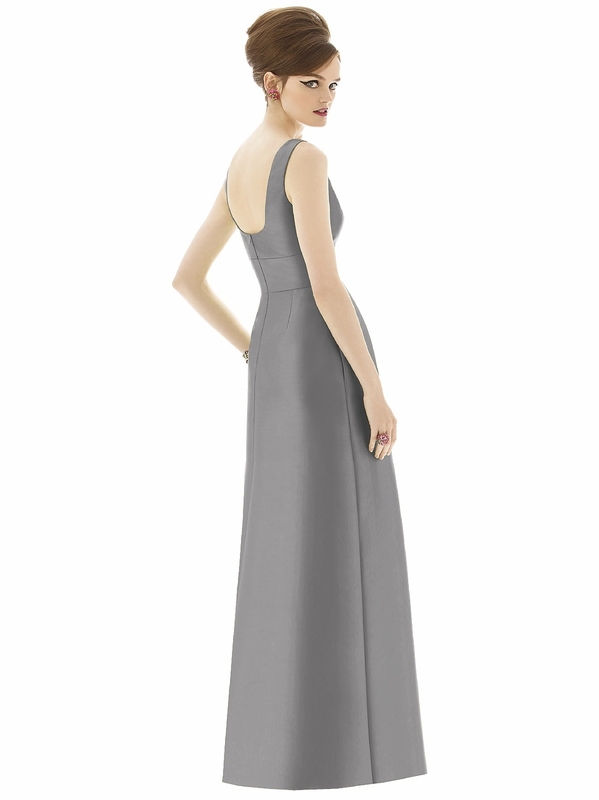 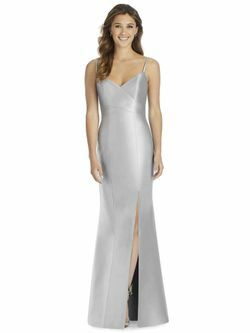 Alfred Sung style D655 is a Full length sleeveless sateen twill dress w/ split seam detail at neckline and inset midriff. 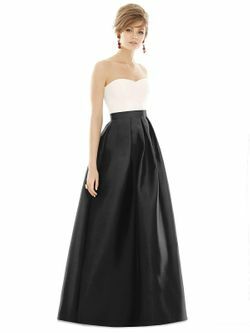 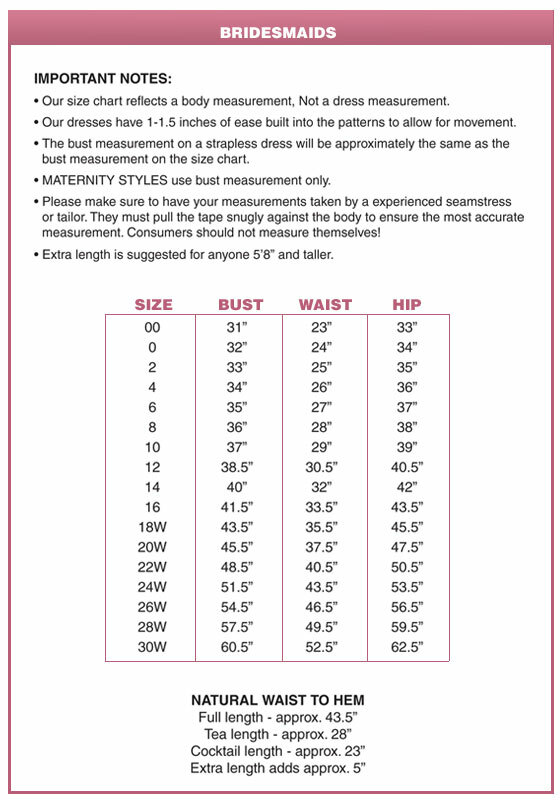 Pockets at side seams of pleated skirt. 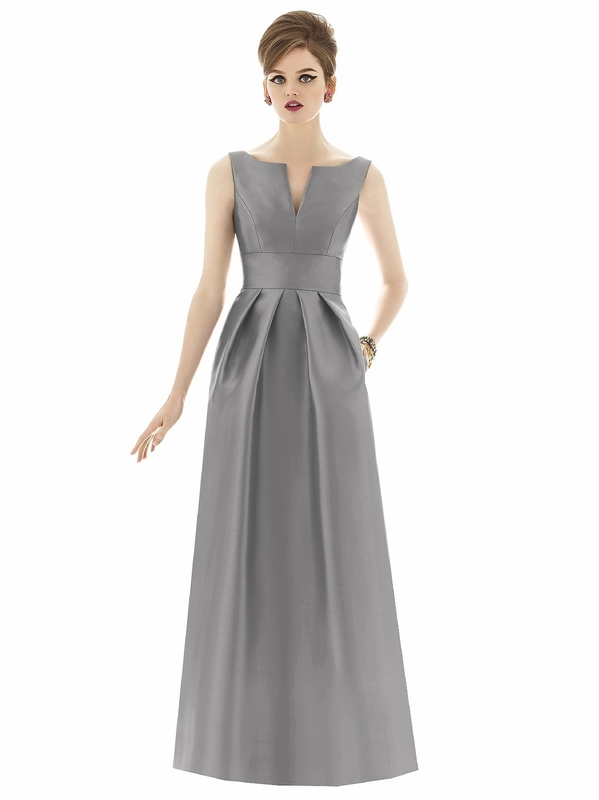 Also available full length as style D654. 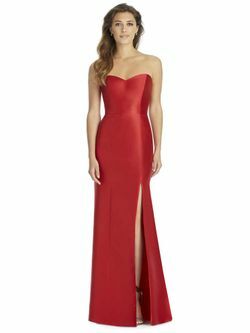 "Special Promotions" "E-mail us for additional promotions on this dress!"